Give them the power of multifunctional digital storage with this USB pen drive. 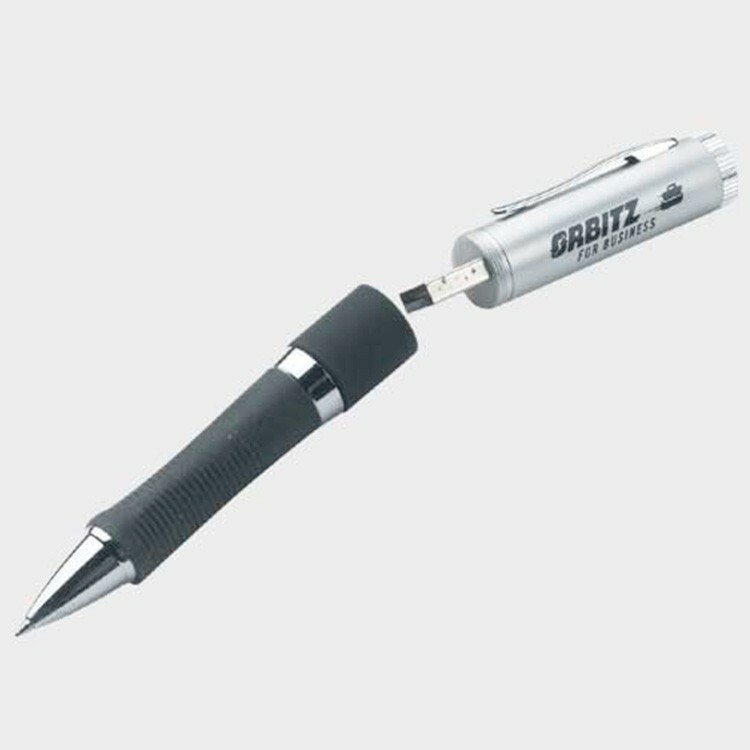 Each silver flash drive ballpoint pen measure 5 1/2' and comes complete with a black rubber grip and is able to backup and transport files easily with USB 2.0/1.1 compatibility. They include a hot plug and play, are powered by a USB port, and are both PC and Mac compatible, complete with shake and electromagnetic wave protection. Order today! Price Includes: free setup, 1 color imprint.